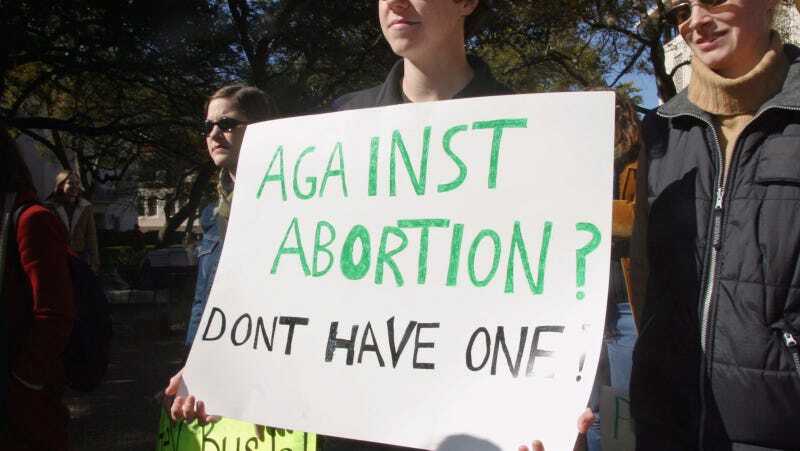 Texas is one huge step closer to making abortions harder for women to obtain after H.B. 214, a bill that would prevent private health insurance or plans obtained under the Affordable Care Act from covering most abortions, passed out of the Texas House on Tuesday. A Senate vote on Wednesday will decide if this bill will go to Governor Greg Abbott to be signed into law. Debate around the bill has been heated, with Republicans saying the bill would prevent anti-choice constituents from being “forced” to pay for abortions. Texas already has number of anti-choice laws already on the books—in fact, they’re some of the few laws that the Senate and House have been able to successfully pass, according to the Houston Chronicle. Rep. Gene Wu, D-Houston, said there are other procedures covered by general insurance plans, such as hysterectomies and breast exams, that Smithee would never use. “Can you have a hysterectomy?” Wu asked. “Medically, I don’t know,” Smithee said.